Ok, so maybe it’s just because they’re both redheads and I’m tired. But it’s also an excuse to elbow in this painting, which is one of my favourites. Monna Vanna translates as ‘Vain Woman’, and this is pretty fitting because she is effectively an early example of the wonders of photoshop: Rossetti went back to the painting a couple of years after it was finished to tone down her hair and alter her rings because some 19th-century arseholes got all whiny about the clashing colours. For someone who’s so tired, I’m pretty full of facts. Love Google. The artist declared this painting ‘probably the most effective as a room decoration that I have ever painted’, which must have made the model, Alexa Wilding, feel pretty good about herself. Chicks love being likened to really nice wallpaper, right? 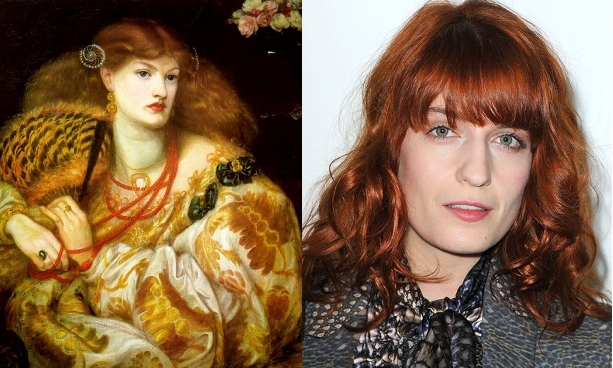 Rossetti was a fan of the ginge, another example being Blue Bower. This is in the Barber Institute in Birmingham, which is located on my old university campus and which I used to routinely skulk around in pursuit of my younger self’s two primary goals; hiding from my dissertation under the shambolic guise of other vaguely educational activities and trying in vain to source cultured young men. If you also like these things, or if you actually appreciate fine art, you should definitely make a visit. 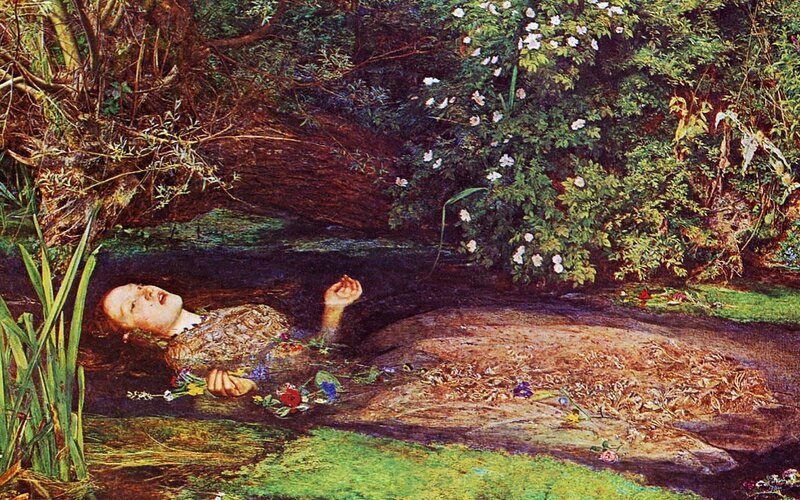 Monna Vanna hangs out in the permanent collection of Tate Britain with another of my all-time favourite paintings, Millais’ Ophelia, if you’re interested.